I took this picture last week on our annual holiday. 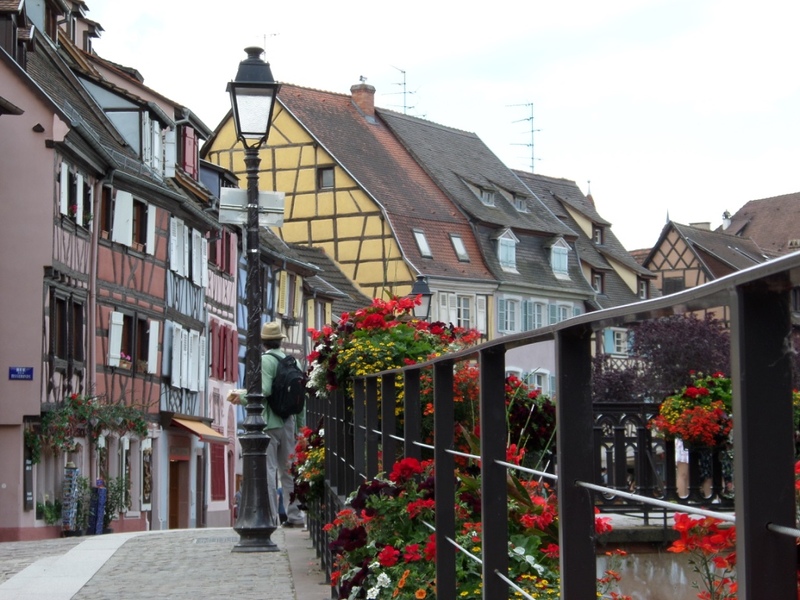 This is Colmar in eastern France, and the handsome gent standing under the lamppost is my other half, the lovely Dr B. It really is a very beautiful place – well worth a visit. And what a pretty street it is!